Grows in forested swamps and wetlands, as well as along stream banks. Can be planted in wet and moist areas in yards. Throughout most of the Chesapeake Bay watershed, except West Virginia. 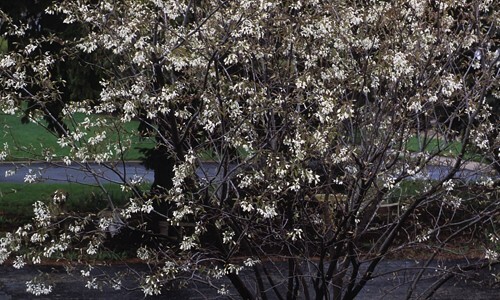 The sweetbay magnolia is a small, semi-evergreen tree with large, creamy white flowers that bloom in early summer. 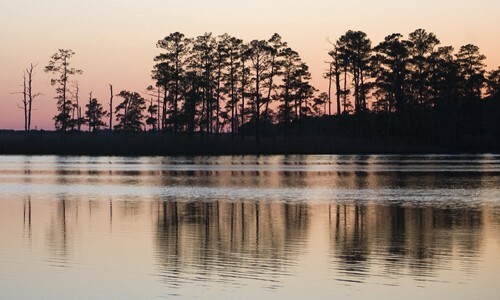 It grows in forested swamps and wetlands throughout most of the Chesapeake Bay watershed. The sweetbay magnolia has long, oval leaves that grow 4 to 6 inches in length. 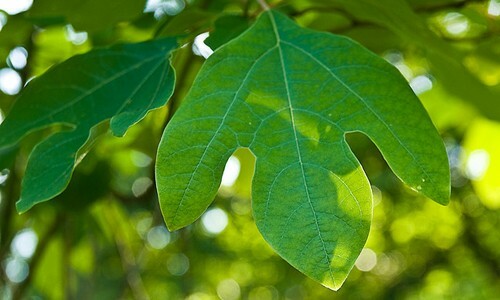 The leaves are shiny, smooth and leathery on top, whitish on the bottom and have blunt tips. They may turn brown in winter. Large, creamy white flowers bloom in May to July. The sweetbay magnolia grows 20 to 30 feet tall. Bundles of dark red seeds are produced in early autumn. Animals such as squirrels and songbirds spread the seeds. Sweetbay magnolias in the Chesapeake Bay region usually only grow about 20 feet tall, but in the southern U.S. they can grow to 90 feet. They are listed as an endangered species in New York and a threatened species in Pennsylvania. Sweetbay leaves smell spicy when crushed. Early colonists referred to magnolias as beavertrees because they used the tree’s fragrant roots as bait in beaver traps.